Sometimes there are moments in League of Legends when everything lines up so perfectly that you end up knocking down all five of your opponents like the helpless bowling pins that they are. This is the story of one such moment. I can’t see the full match, but judging from his Kill/Death/Assist ratio (the three numbers to the right of his champion icon), it’s safe to say that he wasn’t having the best game—he’d died 10 times and, presumably, only had 11 kills before landing that penta kill. Poor blue team. 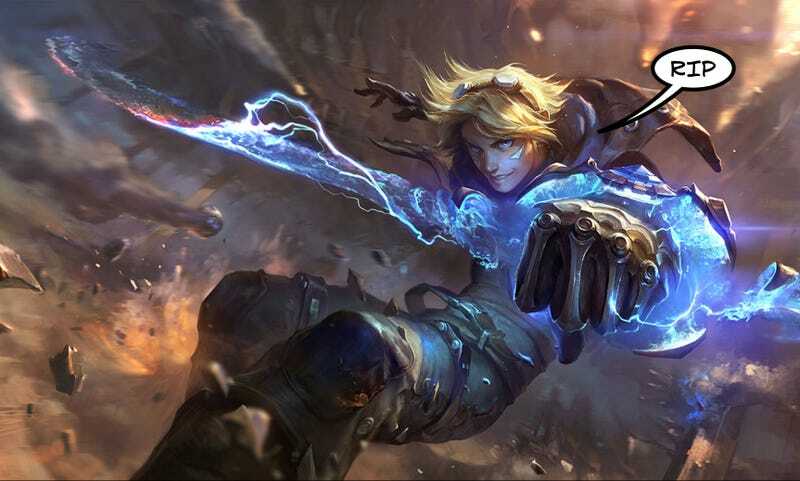 They could’ve totally had it if they didn’t fail to consider Ezreal respawning. Let this be yet another lesson to not be greedy in League of Legends—especially when you’re already ahead.